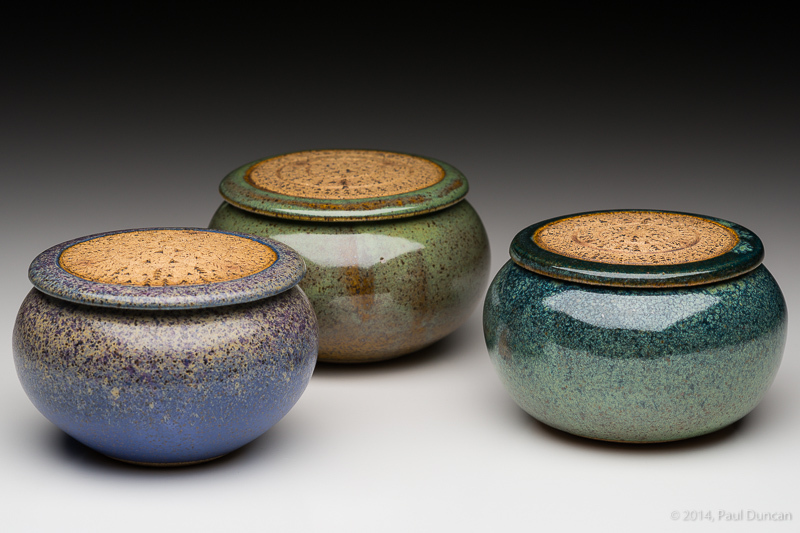 It has been a little over 2 years since Lori did her last pottery glaze firing. Over the Memorial Day weekend, we did our first glaze firing in her Newfield pottery studio (also known as the basement). Lori’s been trying out new designs for her distinctive church-key patterning plus she was eager to see if the old glazes were still usable. Things went well given how long she’s been away from it and she’s eager to continue the new momentum. Her Web site, Nature of Clay, has just been rebuilt and she even has a blog post with a few pictures of some of the pieces coming out of the latest firing. Check it out.